Comforting and ever so cozy, your carpet represents all the trappings of home. Consistently holding its spot as one of the most beloved flooring mediums, carpeting is offered up in a limitless universe of colors, styles, and patterns, so there are selections to suite every space and style. Carpeting has the ability to transform your room, with dramatic results. It can readily compliment both commercial and residential interiors, and accommodate many different lifestyles and budgets. At Carpet One Floor & Home Commercial Flooring, we offer all of the latest carpeting products, and we’re always eager to share our extensive flooring knowledge. Let’s take a closer look into the world of carpet, and learn why it might be an ideal fit for your next remodeling project. With so many wonderful qualities for both the home and the office, carpeting truly has lots to offer. Representing possibilities and value, carpeting keeps you warm, in style, and always on trend. Since it also has amazing insulating qualities, a good carpet can also help you save on utility costs as the years go by. Carpeting is made to meet a wide variety of needs, ranging from allergy protection to stain resistance. There are carpets that made especially for heavily-tread areas, and carpets made entirely for luxurious comfort. The first step to finding the perfect carpet, however, is to familiarize with common carpet terminology: a critical step in meeting all your flooring needs. A carpet’s fibers are also referred to as “pile.” Pile affects each carpet’s performance rating, including its density. The material comprising your carpet pile also determines the look and feel of your rug. For instance, nylon and polyester pile will have a softer feel, and is very durable. Wool fiber is rougher to the touch, but is a terrific insulator. Frieze or “shag” carpets are casual and soft in appearance. With long, twisty fibers, frieze has a deep pile that’s extremely trendy. Level loop carpets are popular “all-purpose” picks, with their short and dense fibers. Level loop is a sturdier rug, which works great in high-trafficked areas. Patterned carpets have a formal appearance, thanks to their looped, alternating length fibers. Textured carpers are rough to the touch, and work well in casual spaces. They are very durable, so are often installed in family rooms. . Plush carpets feel indulgent to the touch, with a velvet-like pile. These rugs are very soft, but since they easily show footprints, they are best reserved for spaces that don’t sustain heavy usage. At Carpet One Floor & Home we carry the region’s most comprehensive inventory of fine carpeting products, including exclusive brands that cannot be purchased elsewhere. Quality selections by Lees, Tigressa, Tigressa H2O, and Karastan are just the tip of the iceberg. Visit us today in Cheyenne, Laramie, and Casper, and let our product expertise help steer you towards the perfect match. 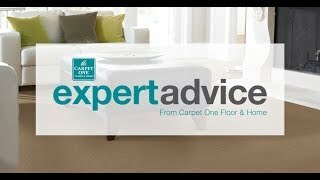 There are many different types of carpet from which to choose. Let our experts help you make the right choice. Now that you’ve installed your perfect carpeting, we know you’ll want to admire it for as long as possible. Great news: it’s easy to ensure that your rug will stay beautiful for many years to come.